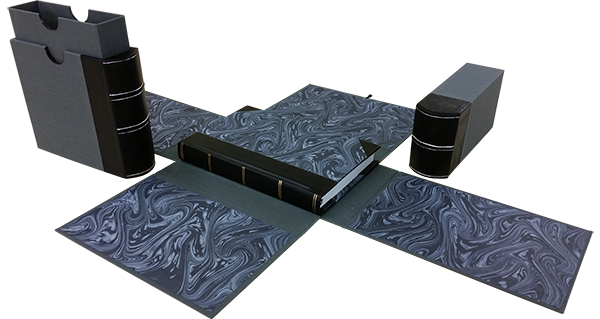 We have a variety of decorative enclosure options, from clamshells to slipcases to boxes with telescoping lids. These enclosures are a perfect way to store valuable keepsakes and special memories. They provide premium protection in a picture perfect package. Every decorative enclosure is handmade to fit each individual item perfectly. 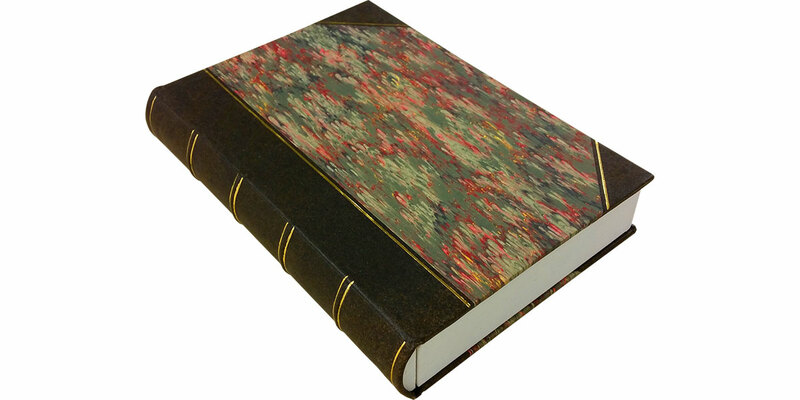 We can use your measurements, or if you send us the books, we can do the measuring for you! Contact us to discuss your special project! 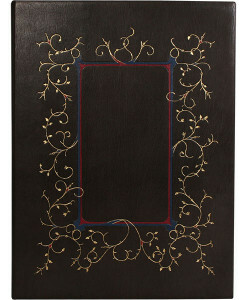 Do you need to protect your valuable books, but don’t want to sacrifice the aesthetic of gold tooled leather spines? Do you want a secret hiding place to store small valuables among your book collection? Look no further than our rounded book spine. Our hinge box, top-loading slipcase and deluxe clamshell can all be made with a rounded spine to mimic the books around it. 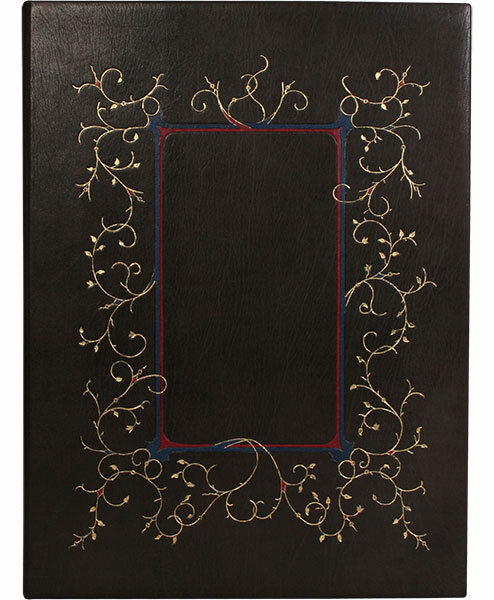 For an even more refined look, consider working with one of our skilled bookbinders to commission a one-of-a-kind piece of art to house your most valuable items.